A co-worker introduced me to Tarte cosmetics last week and I've been sold ever since. I really prefer gel blushes vs. powder because they are so easy to wear and instantly give a refreshed look. While I'm a big fan of this cheek color, it's nearly impossible to get my hands on because it's exclusively sold at Walmart and I'm a gal in the city without a car limiting my access that much more. With a color named Blissful, how could you not want to give it a try? It's a cheek stain that looks (and makes me feel) just that. Labels: Beauty., Shopping., tarte cosmetics. 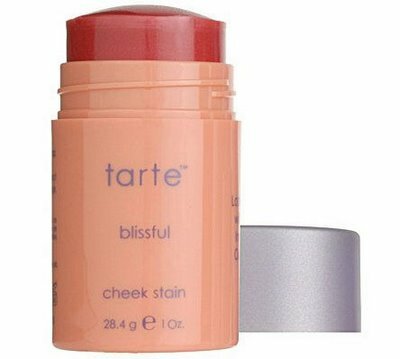 i've never used a cheek stain...but my highlighter is in a stick and i love that. perhaps i'll try this out next time my blush is running low!